Two of my all-time favorite pastimes are running and reading, so naturally, if I’m reading a book about running, I get super-duper happy. Since you’re here, reading a blog about running, I’m assuming that we have this in common, so I thought I’d share a few of my favorite running-related books. Grab one of these if you’re looking for a great fall read! Talk about inspiring: Alberto Salazar was dead — literally — for 14 minutes. And lived to tell about it. The book’s not all about those 14 minutes, though. Salazar writes about his career as a young runner, which in itself is inspiring. Reading about his dedication, even as a teenager, to becoming the greatest runner of all time made me want to stop reading and get out and run (which I couldn’t do, because I read this book on an airplane). As a young teenager, Salazar trained with some of the greatest runners in the nation (Bill Rodgers, for example), but also still ran on his high school team. This riveting book follows his development from prodigy to coach to dead guy and back to coach again… and makes you want to follow in his footsteps (aside from the “dead guy” part, of course). If Alberto didn’t get you inspired, I promise that Matt will. Once chubby and fairly inactive, this New York City fireman transformed himself into a marathon-running, Ironman-completing machine. Until the day he rode his bike to work and got hit by a bus. Which practically ripped his body in half. This book tells the story of Long’s road to recovery. What I love about it is that he never sugar-coats his story or tries to feed the reader an “I always knew I’d get better” line. No, Long tells about the darkest times, the frustration, the hopelessness. But he also tells how he got through it and, eventually, became a marathoner and an Ironman again. Matt Long was torn in half by a bus. What was your excuse again? Jordan impulse-bought this book for me once at a running store, and I love it! Each of its featured 50 marathons is described in detail by someone who has run it. It’s like a pared-down marathonguide.com. I keep it on my nightstand for when I just want to read something short before I go to bed, and then I have running dreams. And want to run all 50 marathons. Okay, if you haven’t at least heard of this book, you’ve probably been living under a rock. But it is one of my all-time favorites, so I couldn’t not include it. After reading about this amazing running tribe in Mexico, all I wanted to do was run. And eat pinole, which I had never heard of before this book. 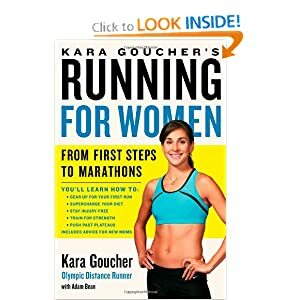 Kara Goucher is my hero, and you should read her book. The end. Just kidding. But this book definitely intensified my girl crush on Kara. It’s chock-full of down-to-earth, intelligent advice on running, nutrition, strength training, etc., all connected with Kara’s personal stories and experiences. This is a great book for both beginners and more advanced runners. When you finish, you’ll probably have a girl crush on Kara, too. Considered the “marathon bible” by many, this book is a must-have for serious (or fairly serious) marathoners. It has Pfitzinger’s famous training plans, of course, but the wisdom on workouts, injury prevention, nutrition, etc., is well worth buying the book, even if you never use one of the plans. 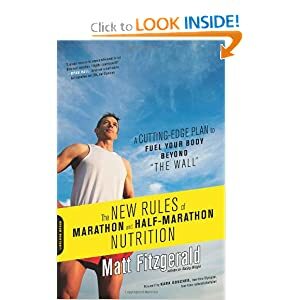 I’ve used one of these plans for four marathons, and even now, when I’m using a different plan, I refer back to this book at least once a week. 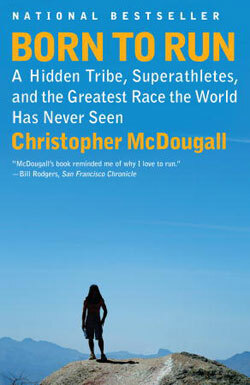 I bought this book (and had Greg McMillan sign it…giddy runnerd moment) at the Boston expo, and I think it’s fantastic. The book walks you through designing your own training plan, based on either one of Greg McMillan’s or any other plan that you like. This customized plan is what I’m currently following for my fall marathon. The process of customizing a training plan was invaluable for me. It really made me think about my strengths and weaknesses as a runner, as well as the purposes behind all the workouts I tend to just blindly follow. The book is easy to follow and understand, and easy to flip around for reference when I need a refresher on tomorrow’s workout. I wrote a full review on this book here. I still think it’s terrific and highly recommend it. Source-citing so I don’t break any laws: I just pulled these images from Google. Most of them came from Amazon, in case you couldn’t tell by the “Click to look inside” images. Those are a few of my favorite running books. What are a few of yours? oh my gosh what an inspirational reading list!! i dont know if you read Abby’s blog (The Change of Pace) but she recommended Kilian Jornet’s book “Run or Die” and based on this reading list, i think you’d love it!! I don’t have a book to recommend, but I have a couple of documentaries. Run For Your Life profiles Fred Lebow, the founder of the New York City Marathon. The part about women being allowed into the NY Marathon was very interesting. Also, Spirit of the Marathon, follows six runners preparing for the 2005 Chicago Marathon. Both are on Netflix Instant Play if you have Netflix. I do read a lot, too, but sometimes I watch and read at the same time. Those both sound like great ones to watch from the treadmill this winter! Thanks! 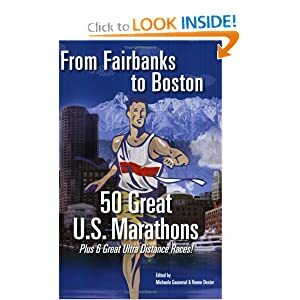 I have 50 Great Us Marathons in the my second bedroom right now! I borrowed it from the library! It is interesting to learn about other marathons in the country!